The website has been going since March 1999. It is run by Paul Wilkinson with frequent input from Martin Newell. It is a non profit site and free of any association with any organisation or company but is happy to back Cherry Red Records and JarMusic Martin's excellent independent record labels and Jangly John Relph's Newell resource which has been doing sterling work for longer than this site. Most of the pictures and sounds were made by Paul but some were by James Dodds, if it is a drawing or linocut it is probably one of his. Please do not reproduce any art without permission. Since May 2003 the webspace available to the site has increased dramatically and broadband has allowed Paul to upload much bigger files than previously, therefore enabling him to achieve some of his original ambitions for the site. 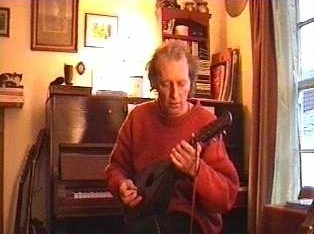 In 2001 the website raised seven hundred pounds for the UK homeless charity Shelter through the sale of an exclusive CD called ReNewell which featured Martin's friends and fans playing his timeless songs.